First, some background info: About eighteen years ago, when I got my first German Shepherd puppy, I tried Don’s class after trying four other trainers. She was a tough puppy to train for a first-time owner. We eventually succeeded in training her (you can see a picture of her balancing a tennis ball on her nose on the mural at TK Canine Training Centre), but I knew I could do better with my next dog. In July 2017, my husband and I brought our then newly adopted 6.5-year-old and 7-month-old German Shepherds to training with Don because working with him had worked the first time – and yes, we got two dogs in the span of three months. We’ve completed all the courses at TK Training (beginner, intermediate, advanced, agility) to great success and our dogs are often complimented on their calm and obedient behaviour, even though it wasn’t like that at the beginning. Don’s lessons are private and are different from other trainers. His methods are step-by-step and clear. He does not use treats for obedience training and there is no group training. He emphasizes not only obedience but the care of the dog emotionally, physically, and mentally. Because he worked with us one-on-one, we were able to address specific issues with each dog. Our older, stubborn German Shepherd had been previously Schutzhund trained in German but had to re-learn the commands with us as new owners and in English. Our younger German Shepherd had issues with other dogs in addition to barking. Don showed us how to use words and the prong collar properly so that our communication with them was clear, and he taught us how to understand our dogs’ behaviour in their actions and reactions. We used a lot of positive verbal reinforcement and praise. We also signed up for the socialization classes that are held once a week. These classes are conducted in a safe environment which allowed for our dogs to become accustomed to other dogs (at first on-leash, then off) in polite, respectful ways. We attended the lessons and two socialization classes (rain, shine, and snow) once a week each – a total of 6 hours for each dog for a year. Even though we have now completed our private lessons, we still attend two hours of socialization each week. One year later after the last of private lessons, we can say that our dogs are confident, well-behaved citizens of whom we are proud to be the parents and are comfortable taking out. The biggest improvement we have seen is in our younger German Shepherd who has done a complete 180 degrees in his behaviour. Those who know him remember his start to socialization class was lunging, growling, barking, and snarling. At the Special Events’ Parties that Don hosts for his socialization classes, our younger German Shepherd mingled up to fifty dogs of varying sizes with no aggression whatsoever. Without Don’s training (and training of us), Tippy and Remmy wouldn’t be the dogs that they are today. We now take them to other courses like agility, scent work, and swimming in a pool, knowing that we have the confidence to handle them, and knowing that the dogs know our expectations and have the confidence to know how to behave. In the last two months on a whim, we took him to the breed-specific Western Regionals Conformation Show and the Canadian Nationals (where he came first in both shows! 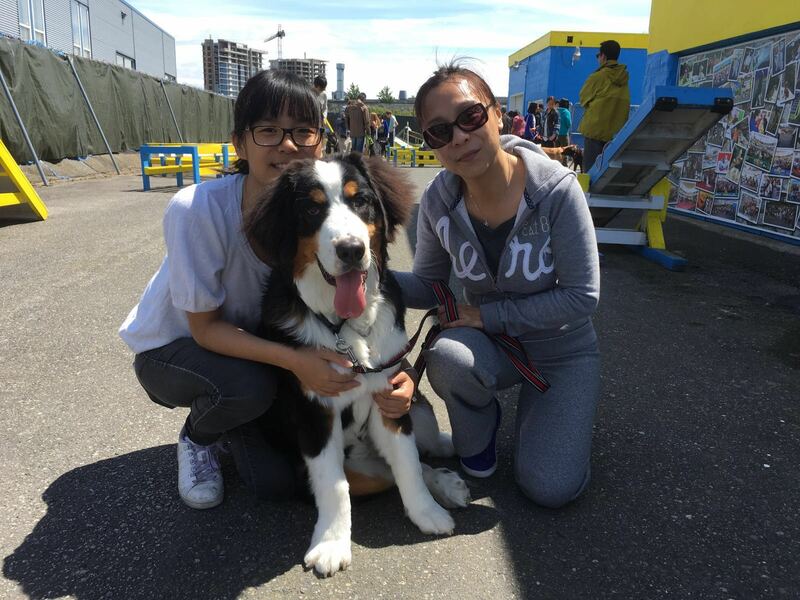 ), and we are happy to say that he tolerated all the other dogs at the competition where he was focused on his task, and didn’t lunge or show aggression to other dogs. Even the judge and the handler loved him! We speak highly of Don and highly recommend his training centre. Our goal was to have our dogs to be safe, well-behaved citizens in the community and at home. It was important that we committed to the time (in class and at home), effort, and cost of training them, and you will need to do the same if you want the same. There is no better reward than having obedient dogs as part of our family, and Don played a huge part in getting us there. The most important points that we will always remember from our private training with Don is to ask questions, that a prong collar is a tool (not a weapon), that verbal praise and physical petting go a long way, that there’s always room for improvement, and that consistency and timing is EVERYTHING. Thank you, Don, for your expertise and patience! I want to thank Don for training my dog Happy. Happy is 2 years old now, but when he was a puppy, he was very naughty. Every time when I walk with him, he would bark and jump at people and other dogs. But with Don’s training, Happy became very obedient and much calmer. He learned to socialize with other dogs in the social class in a calm and proper way, as well he learned to follow my commands in the obedience class. Now he is very friendly to my friends, neighbors and other dogs. A lot of my friends praise Happy as a wonderful dog with very good manner. Thanks again to Don and his training, he taught me all the good tips and skills to communicate with Happy. Now I am really happy to see the big change in Happy and enjoy even more to walk with him. Thank you so much for all the guidance you’ve given Belka and us! 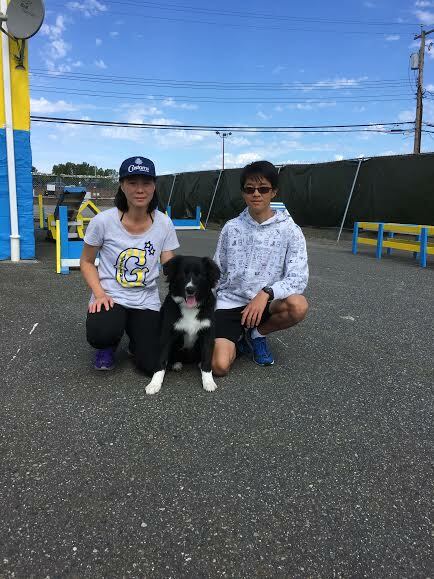 Belka started beginner obedience and social lessons back in the summer of 2016. She started off very nervous around other dogs, but under Don’s patient guidance she quickly became much more confident. She has even made some best friends, and plays with them all the time during socials! Her behaviour has significantly improved – she now listens to commands and is able to socialize with other dogs. The first agility class further increased her confidence, and now she’s able to leap over obstacles and go into tunnels off-leash. Our entire family feels much more relaxed when we take Belka out on walks. Thank you Don Chan! Your calm and charismatic demeanor helped me to be patient throughout the process. This training is a process. They don’t give the dog a magic potion. However, with an outstanding owner like Don leading the pack, everyone is at ease. He taught my puppy Charlie to be a better and more respectful dog. More importantly, Don helped me be a better dog owner. This training is equally important for the owner as it is for the dog. The training establishes a mutually- respecting relationship between the dog and the owner. I highly recommend this training program for any dog. Make your life easier and make your dog happier. 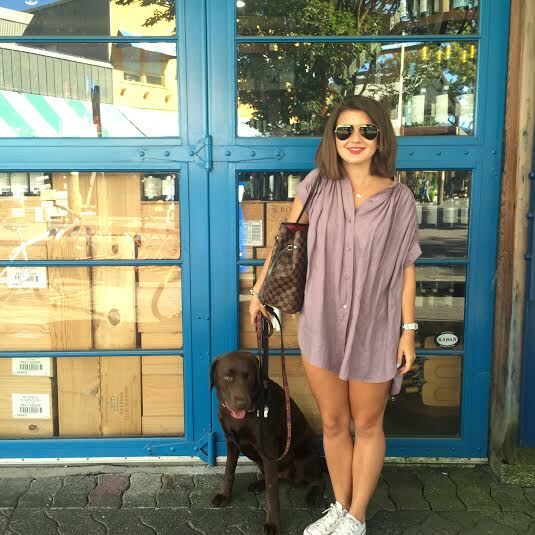 I registered my chocolate lab, Luna, when she was 10.5 months old for basic obedience classes with Don. 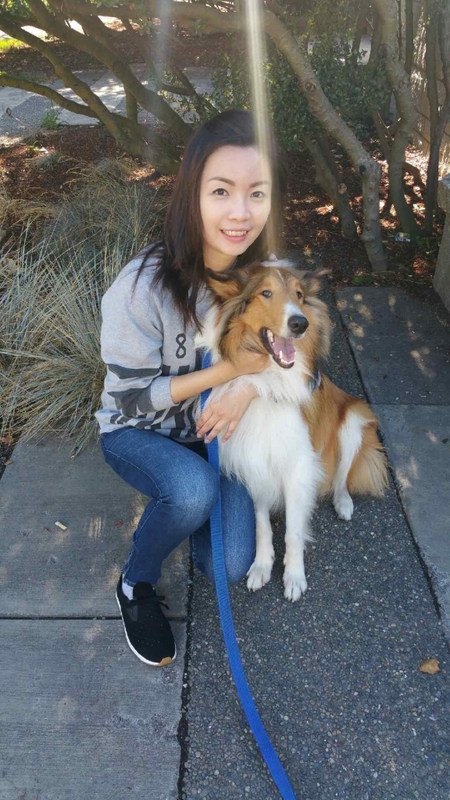 While I initially believed that training lessons were unecessary as a first time dog owner, I realized that Luna was becoming unmanageable during walks and she was misbehaving quite often both at home and when I took her out. Thanks to Don’s basic obedience classes and socialization classes, I learned how to properly train Luna. Most importantly, I learned how to walk Luna using a prong collar which helped her to socialize better with other humans and dogs during our walks, while also decreasing her amount of pulling on the leash. Don’s training lessons have really improved Luna’s behavior overall. From a young puppy who would used to lunge, bark, and growl during walks, I can now enjoy long walks with her without having to worry about her being disruptive with both other dogs and humans, and she has learned to heel properly during walks as she is able to walk along side me the majority of the time. Her socialization skills and behavior have improved immensely and I would highly recommend Don as a dog trainer. Thank you Don for all of your work! We have a Border Collie mix, which Don started teaching when he was 4 months old. At the beginning, he did not want to listen to our commands or follow us. However, after much work and persistence, Don showed us how to be a good pack leader, and more importantly how to maintain a good, healthy relationship with our dog. Now, Kage just completed the intermediate course, our dog is very disciplined. He knows to stay by our side unless we tell him not to, he knows to sit next to us when we stop, he knows how to play fetch, and now he can also go off leash. My name is Muiju, and I am seven months old right now. I began my first obedient class at TK Canine Training Centre when I was only two months old. Why did my mommy brought me here? It was because of my bad habits. I was peeing around the house and chewing everythings. AIso, even thought I was only few months old, my strength is beyond what my mommy can control. I had accidently hurts my mommy because of that. I did not understand what is proper behaviors. I just do whatever I felt so. Thanks to Don Chan, I learnt how to behave properly and social with other dogs. Now, whenever I go out, people praise my behavior and love to pet me. Thank you to TK Canine Training Centre. 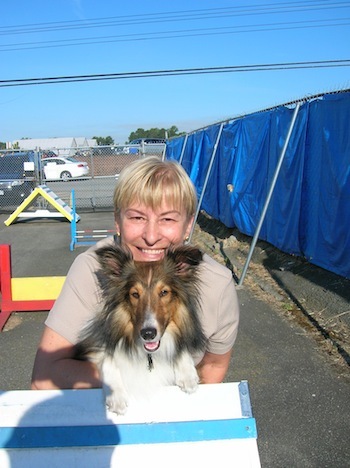 Carol MacGregor & her Sheltie "Toby"
We have been training Fina with Don since she was 12 weeks old. Fina’s behavior and demeanor have improved by leaps and bounds ever since. We love that Don taught us to be the leader and trained without using treats. His training techniques are reliable and target the root of the problems. We would recommend Don to anyone who really wants to have a well balanced dog for their family. Robert Pospisil & his German Shorthaired Pointer "Fina"